During one of your furry friend’s recent visits to Fairfax Animal Hospital (FAH), you may have been given a recommendation for “wellness blood work” or “lab work” for your pet. 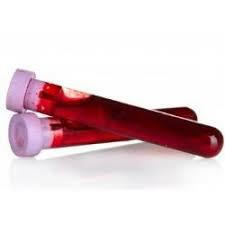 We here at FAH know that wellness visits can sometimes be overwhelming, especially with so much information to absorb and remember, which may lead you to wonder- what does “wellness bloodwork” really mean? While working with our canine and feline patients is extremely rewarding, one of the biggest challenges in veterinary medicine is the fact that our patients cannot tell us “where it hurts” or what is bothering them. For many disease processes, there is no one specific pain signal that they can communicate to us or tell-tale sign of trouble that they can demonstrate. One serious consequence of this is that some disease processes can become quite severe before any changes would likely be noticed by the patient’s family. Fortunately, performing diagnostic blood testing can aid in identifying and addressing these problems BEFORE they cause illness in your pet! Chemistry Panel (Chem): Depending on the test selected by your veterinarian, a chemistry panel can help evaluate kidney health/function, liver health, electrolyte levels, blood glucose (sugar) levels, blood protein levels, and digestive enzyme levels. Complete Blood Cell Count (CBC): This panel of tests evaluates the red blood cells, white blood cells, and platelets. These values help your veterinarian identify issues such as anemia, infection, inflammation, and other blood cell diseases. Thyroid Hormone (T4): The thyroid gland plays a vital role in regulating metabolism, and by measuring the total thyroid hormone in the blood we can often detect thyroid diseases that can cause significant problems for our canine and feline patients. Urinalysis (UA): A complete urinalysis measures the concentration and pH of your pet’s urine, as well as evaluates the sample for signs of infection, inflammation, and signs of systemic damage or disease. A urinalysis is also a key component of evaluating kidney function in our veterinary patients. All of these components together help your veterinarian ensure that your furry family member is healthy both inside and out! Interested in completing wellness bloodwork on your canine or feline companion? Contact us Fairfax Animal Hospital at 703-820-2557 to learn more!